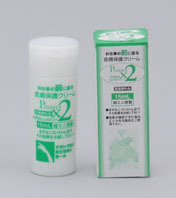 The skin protection cream Protect X2 has protection effect on three types of skin troubles, same with Protect X1. In Japanese pharmaceutical law, Protect X1 is classified as a cosmetic, whereas Protect X2 is classified as a quasi-drug. Ministry of Health and Labor defines quasi-drug as "in a certain effect it is equivalent of a drug". Protect X2 is legally approved effective not just on protecting from rough skin but also having healing effect on light burn such as servants burn. Protect X2 is, therefore, mostly used in hospitals and dental offices. 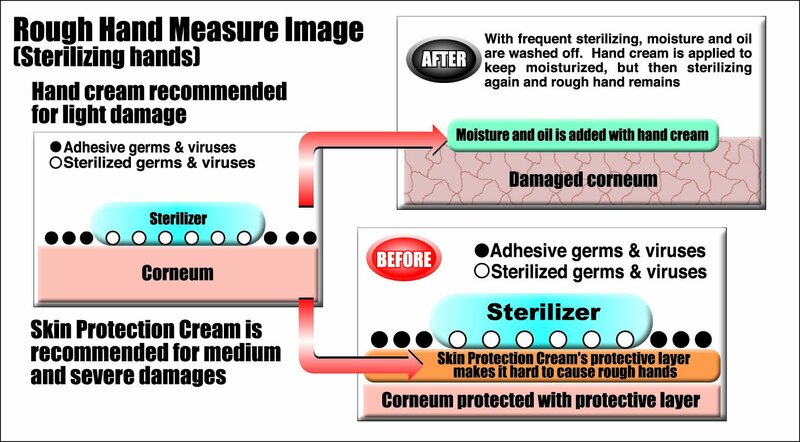 Doctors, nurses, lab technicians, dentists, and dental hygienists are regularly disinfecting their hands, thus, it is easy to get rough hands and no ordinary hand cream can protect them. By applying Protect X2 before work, it will prevent from rough hands when regularly washing and disinfecting. In Japan, there have been several similar products in the past. However, they all had strong smell, leaving oily residues and also were too expensive; none were ideal on use by medical practitioners. 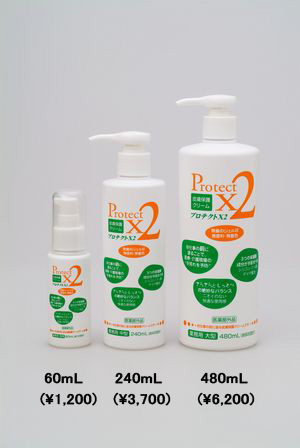 Since Protect X2 has been developed, the demand has been very high in medical world, having the top share in the market. There are four sizes of containers of 15ml, 60ml, 240ml and 480ml. 15ml and 18ml bottles are portable and mainly for private use. 240ml and 480ml containers each feature a pump and ideal for shared use in medical sites. In medical field, keeping hand from being rough also means a measure to prevent indirect infection. We expect Protect X2 to be demanded further also in nursing care and food producing industry where hygienic management is strict.